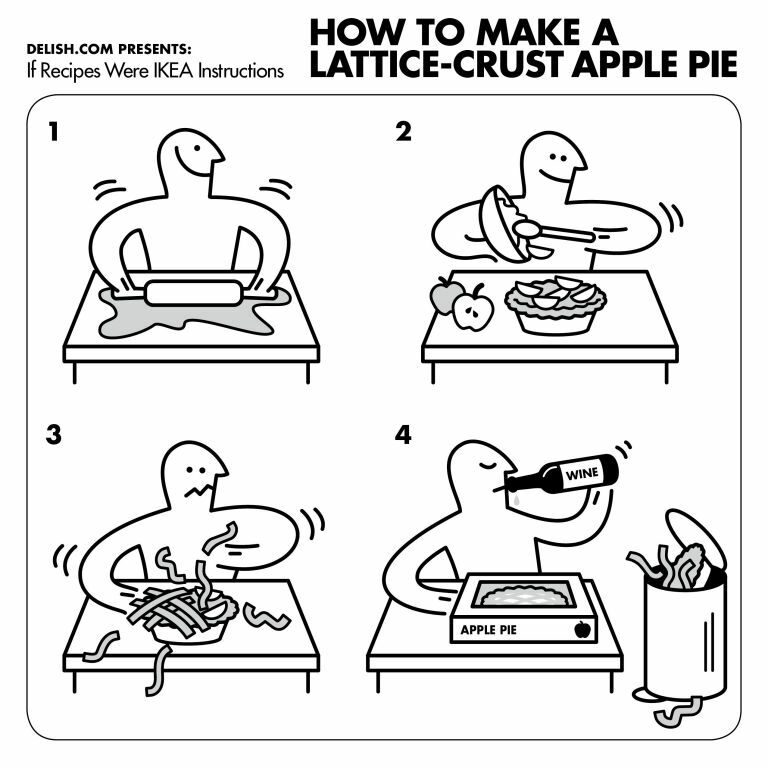 How would recipes instructions look like if they were Ikea instructions? Food magazine, Delish has illustrated a fun spoof series of recipes including how to make french macarons, deep fried turkey, gingerbread house, beer-can chicken, apple pie and even a watermelon keg that just follows the Ikea instructions blueprint called "If Recipes Were Ikea Instructions". Bon appétit!